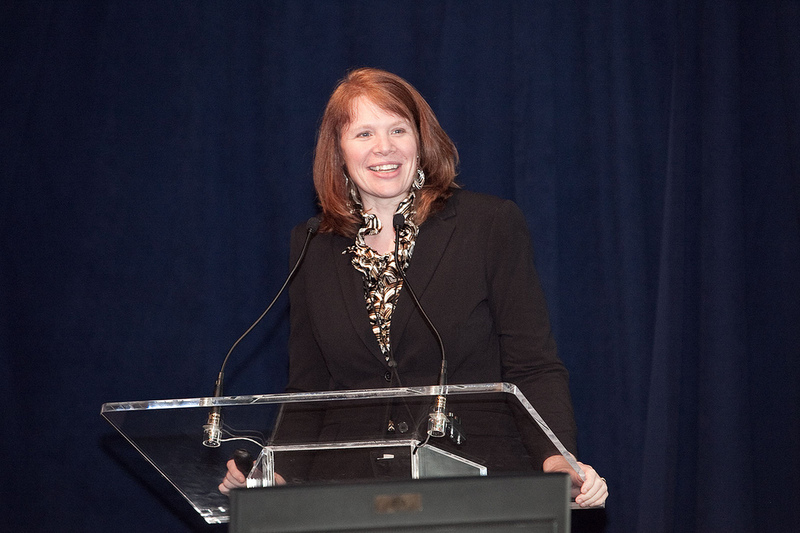 Kim Glas is the Deputy Assistant Secretary for Textiles, Consumer Goods, and Materials in the International Trade Administration. Serving as the Deputy Assistant Secretary for Textiles, Consumer Goods, and Materials, my job is to improve the domestic and international competitiveness of the broad product range of U.S. textiles, footwear, consumer goods, metals and mining, forest products, and chemicals and plastics manufacturing sectors and industries. This position requires strong negotiation and problem-solving skills and the ability to work with a broad array of stakeholders with divergent opinions in order to find solutions on a whole host of issues. Over the last 3 years, I have spent significant time at the negotiating table for the Trans-Pacific Partnership Free Trade Agreement to ensure opportunities under the agreement for U.S. textile and footwear producers. I coordinate within the ITA and across agencies to ensure we can deliver results for companies and the workers they employ. While the job has been challenging, it has been an incredibly rewarding opportunity. I have worked with top-notch staff across the Department and in the Administration who are driven to expanding opportunities for U.S. industries and workers. Having worked in two Administrations and on Capitol Hill, I have always been driven by a mission to serve the American people and have been fortunate to do so throughout my career. Growing up, my parents, extended family, teachers, and mentors were incredibly supportive of me and instilled in me to work hard, serve others, and have a strong sense of self. I grew up in the close-knit community of Lockport, NY located near Buffalo during a time when many industries in the area were facing enormous economic hardships. Layoffs all too often were the front page news of the local paper. My high school experience reflected what was happening in the community – and I knew that I wanted to make it better. When I went to college at the State University of New York at Geneseo, I thought I would serve my community by becoming a social studies teacher. The trajectory of my life changed when I took a history class with Dr. Bill Cook. As a grade conscious student, I knew taking a class with him all but assured I would not graduate at the top of my class – but I didn’t care. He brought history to life and connected it to our modern day political structure. When he ran for Congress in a campaign destined to lose, I followed him and decided I didn’t want to teach about government, I wanted to be an active participant in it. I believed in the community I grew up in and communities like it across the country and knew I wanted to serve. The main driver of my career success has been the people I have met along the way. They are the reason I do what I do. They will continue to be my sense of purpose going forward. To understand yourself and the people around you, gives you an appreciation for those who share different perspectives or share common motivations. I have always admired my distant cousin Amelia Earhart who pushed herself to soar above the clouds in unchartered territory and in doing so, broke the barriers of history. She once said, “The most difficult thing is the decision to act, the rest is merely tenacity. The fears are paper tigers. You can do anything you decide to do.” Seize the moment, push the envelope, know yourself, and never forget where you came from or the people on whose shoulders you stand.